0905 - 0925 Keynote Speech - by Noboru Ueda, Chairman, Class NK. 1020 - 1030 EXPO INAUGURATION By Khamis Juma Buamin,Chairman,Drydocks World Dubai. Aries Marine & Engineering Services. 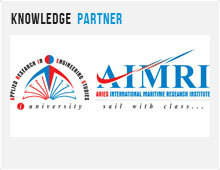 Aries International Maritime Research Institute.